A Rare Opportunity! 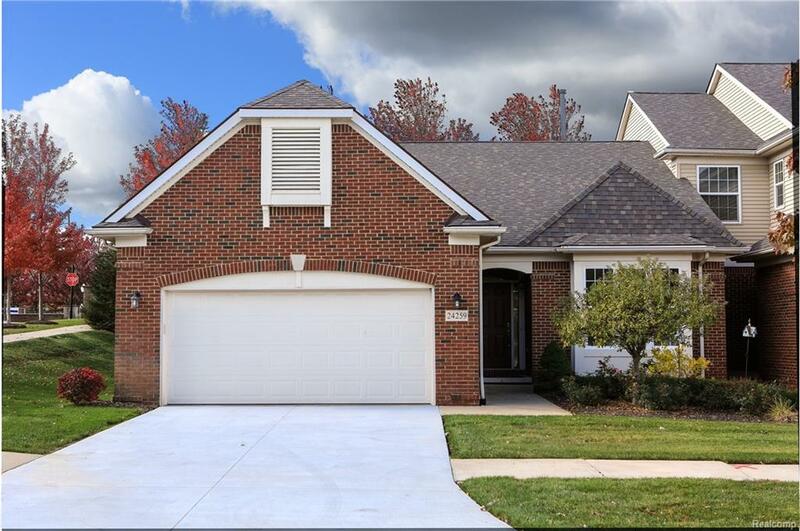 First time offered, open floor plan, Ranch end unit pristine and move-in ready! Freshly painted, new carpet, foyer with hardwood floor, two bedroom suites with private baths, powder room with pedestal sink, 21 x 15 great room with marble surround gas fireplace, formal dining room with hardwood floor, doorwall to deck, open kitchen with hardwood floor, snack bar, new dishwasher, cabinets galore, walk-in pantry, master suite with dual closets, spacious walk-in, glamour bath with his/her sinks, first floor laundry, tree lined yard with evergreens for year round privacy, low association dues. Show and sell with immediate occupancy. What are you waiting for?